Please read these terms and conditions of use for this website carefully before browsing through the site. By accessing this website, you accept these terms and conditions in full. The website, accessible via the following URLs: https://www.spm-ferries.fr and https://www.spm-ferries.fr, is operated in accordance with French law. The use of this site is governed by these general terms and conditions. By using the site, you acknowledge that you have read, understood and agreed to, these conditions. They may be amended at any time and without notice by the territorial collectivity. The latter shall not be held liable in any way whatsoever for the misuse of the service. The www.spm-ferries.fr website is hosted by the company Celya. The information on this site is as accurate as possible and the site is periodically updated, but may contain inaccuracies, omissions or other deficiencies. If you notice a deficiency, an error or what appears to be a malfunction, please notify us by e-mail, describing the problem as specifically as possible (page where the problem is located, action triggering the problem, type of computer, browser used, etc.). All content is downloaded at the risk of the user and under the user’s sole responsibility. 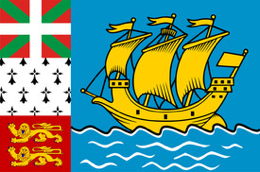 As a result, the Territorial Collectivity of Saint-Pierre and Miquelon shall not be held liable for any damage sustained by the user’s computer or by any loss of data resulting from the downloading. The Territorial Collectivity of Saint-Pierre and Miquelon shall not be held liable for the hyperlinks placed on this website that link to other resources on the internet. These terms and conditions are governed by French law and any dispute or litigation that may arise from their interpretation or execution fall under the exclusive jurisdiction of the courts where the head offices of the Territorial Collectivity of Saint-Pierre and Miquelon are located. The reference language for the settlement of potential disputes is French. All the content of this site, including, but not limited to, graphics, images, texts, videos, animation, sounds, logos, gifs and icons, as well as their formatting, are the exclusive property of the Territorial Collectivity of Saint-Pierre and Miquelon, with the exception of trademarks, logos or content belonging to other partner companies or authors. Any reproduction, distribution, modification, adaptation, retransmission or publication, even partial, of these different elements, is strictly prohibited without the express written consent of the Territorial Collectivity of Saint-Pierre and Miquelon. This representation or reproduction, by any means whatsoever, constitutes an infringement punishable by articles L.3335-2 and following of the Code of Intellectual Property. Failure to abide by this prohibition constitutes an infringement of copyright that may incur the perpetrator’s civil or criminal liability. Moreover, the owners of the copied content could bring a lawsuit against you. In the same way, the Territorial Collectivity of Saint-Pierre and Miquelon is the owner of the “database producer rights” referred to in Book III, Title IV, of the Intellectual Property Code (Law No. 98-536 of 1 July 1998) on copyright and databases. Users and visitors to the website may create a hyperlink leading to this site, but only to the homepage, accessible through the following URL: https://www.spm-ferries.fr, provided that this link opens in a new window. In particular, it is prohibited to create a link to a subpage (a deep link), or to open this site in a frame (framing), unless given express prior authorization from Celya. To request authorization or information, please contact us by e-mail by visiting our Contact page. Specific terms are provided for the press. Ce site is offered in HTML5 and CSS3 languages; for improved user comfort and a better graphic experience, we recommend that you use modern browsers such as Firefox, Chrome, Safari, MS Edge, etc. The Territorial Collectivity of Saint-Pierre and Miquelon uses all the means at its disposal to ensure that the information provided on its websites is reliable and updated regularly. Nevertheless, errors and omissions may occur. In such cases, users should verify the accuracy of the information with the Territorial Collectivity of Saint-Pierre and Miquelon, and report any modifications to the site that they deem useful. The Territorial Collectivity of Saint-Pierre and Miquelon shall in no way be responsible for the use made of this information or for any direct or indirect damage that may result from its use. Cookies are small text files that are stored on your hard drive to save technical data related to your browsing activities. Some parts of this website, such as the online ticket sales section, will not be able to function without the user’s acceptance of cookies. SPM Ferries’ websites may offer links to other websites or other resources available on the internet. Furthermore, being referred to a website to search for additional information in no way means that the Territorial Collectivity of Saint-Pierre and Miquelon acknowledges or accepts any responsibility for the content or use of said site. It is therefore your responsibility to take the necessary precautions of use to ensure that what you choose to use is not flawed and does not contain malicious elements such as Trojan, viruses, etc. No other warranty shall be granted to the customer, whose duty it is to clearly express his needs and stay informed. If information provided by the Territorial Collectivity of Saint-Pierre and Miquelon seems inaccurate, it is up to the customer to verify the consistency and likelihood of the results obtained. The Territorial Collectivity of Saint-Pierre and Miquelon shall in no way be held liable towards third parties for the customer’s use of the information or the lack of information contained in its products, including its websites. The Territorial Collectivity of Saint-Pierre and Miquelon welcomes your comments and suggestions. You can write to us in French via our website’s contact page.